We have reason to celebrate! Take the opportunity to extend your wrap pile/ collection with a Best of of all Fidella wrap designs. For all Fidella fans (and those who want to become one) we present a medley of the most beautiful and popular patterns of our wraps and babycarriers. 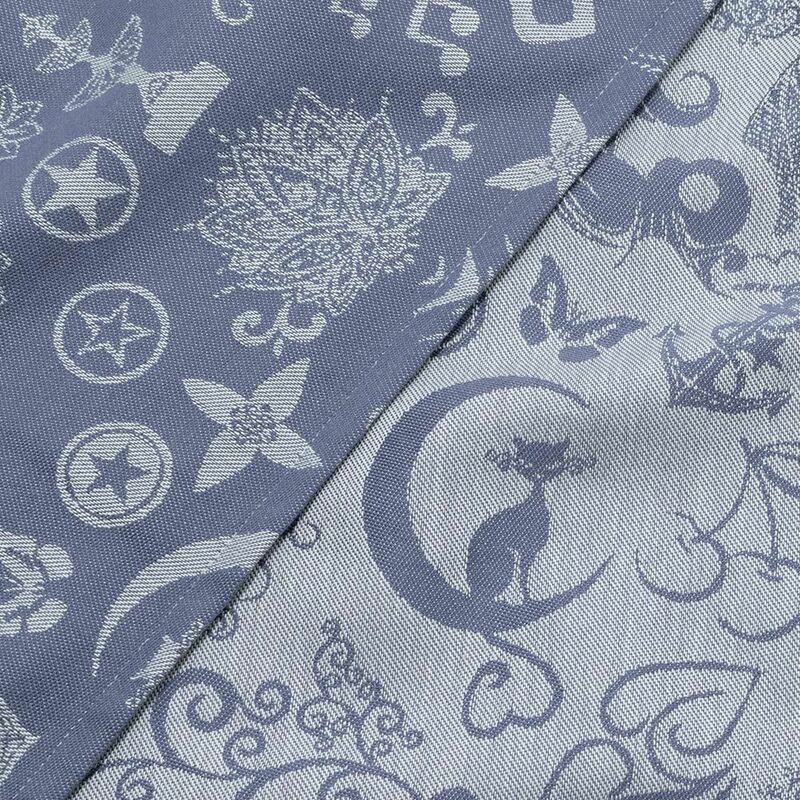 The Fidella Medley -serenity blue- should not be missing in any wrap pile/collection. Celebrate the Fidella diversity with us! Just #fidellicious! Our Fidella baby wrap is made of 100% organic cotton, with a surface weight of 212 g/m². It gets its special surface structure due to the Jacquard weaving style -classic-. Our baby wraps are usable from birth until the end of baby wearing time. You can carry your sweetheart up to a maximum weight of 15 kg each of our wraps. Baby wrapping is very easy because the edges of our wraps are sewn in different colours to better distinguish bottom edge from head edge. Collectors pay attention: This gorgeous baby wrap is delivered with the fitting bag for free. Fidella is composed from the French word fidéliser [to bind someone] and the name of our daughter, Ella! We are the producers of the NONOMO baby hammock. Of course, our two children are carried and it was a long-cherished wish to design your own sling line . This desire we have now met and Fidella was born in the summer of 2013. We are looking forward to supply the growing sling community with fresh and fascinating sling designs. If you would like to be informed about our new Fidella designs, follow us on Facebook!